A clinical trial designed to test a stem cell-based treatment for female and male patterned baldness (genetic alopecia) achieved good results, according to Kerastem, the company that produces the therapy. The researchers say the treatment might potentially be used to treat other causes of hair loss, such as that resulting from cancer treatments, too. The research team reported a 100 percent patient response rate to the Kerastem Therapy at six months. In patients with early stage hair loss, the percentage increase in hair count/density was a mean difference of 17 percent. In males with early grade loss, an average 29 percent increase in hair count/hair density with a mean difference of 40 hairs per square centimeter was observed. The trial is approved to move to the United States next, involving as many as 70 patients at up to eight centers. 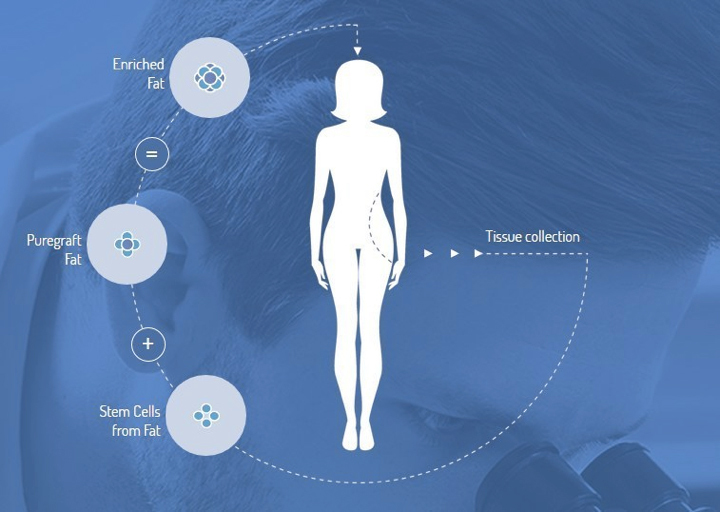 Enrollment is expected to begin by the end of this year.This image outlines the delivery of the stem cell therapy used by Kerastem in its clinical trial on patients with early stage female and male patterned baldness.Image courtesy of Kerastem.